Friday April 10, 2015 was another successful sold out show for WKF Canada!! RETURN OF THE DRAGONS, hosted by Twin Dragon East, was held in the Paradise Banquet Hall in Woodbridge, ON. This show had some CANADIAN LEGENDS in the audience as promised, including Rico TATANGELO and Martin MCNAMARA. 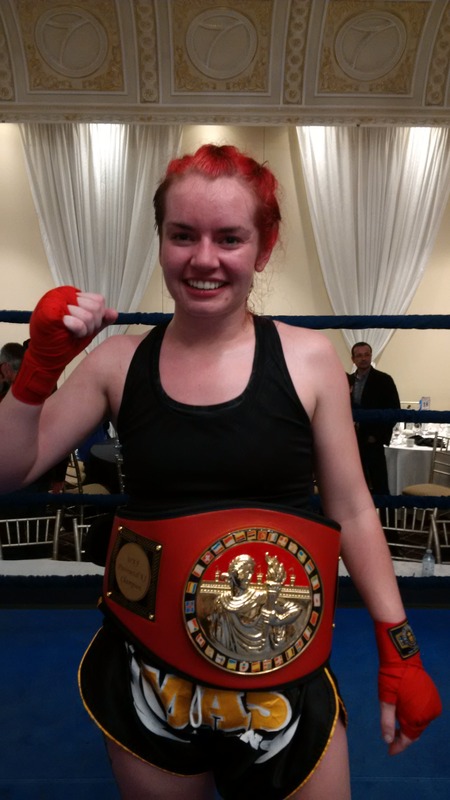 Amy “The Brick House” REID (Prime Time Boxing, Oakville, ON), put her title on the line to fight against Alyssa GOODRIDGE (MAS Academy of Martial Arts, Cambridge, ON) for the WOMENS WKF ONTARIO PROVINCIAL K1 CHAMPION AT 57 KG. After 5 full rounds, Alyssa GOODRIDGE won by split decision becoming the NEW CHAMPION!